Breakfast of champions? Jeremy Puma isn’t buying it. He argues there must be more to breakfast than the American superserving of carbs and proteins. When I worked in Seoul before the 1988 Olympics, a Korean friend would often come by on Sunday morning to take me to breakfast. Always an American breakfast at a Western hotel. She loved them. They can work. But start thinking about a low-carb diet (that won’t instantly clog all your arteries) and your first major obstacle is what to do about breakfast. Fortunately, as Puma notes, other cultures offer alternatives. The choices he cites range from greens cooked in coconut milk with salted cod (Jamaica) to dosas with chutney (India). And you don’t have to travel abroad to try a foreign take on breakfast. One of my favorite breakfast spots in San Francisco is the Restaurant Anzu at the Hotel Nikko. The Anzu’s fabulous $24 breakfast buffet has the usual suspects—fresh-baked croissants, bacon, eggs, sausage, OJ—but also offers a Japanese buffet, which includes broiled salmon, fish cakes, miso soup, rice, seaweed, ohitashi (delicious spinach). 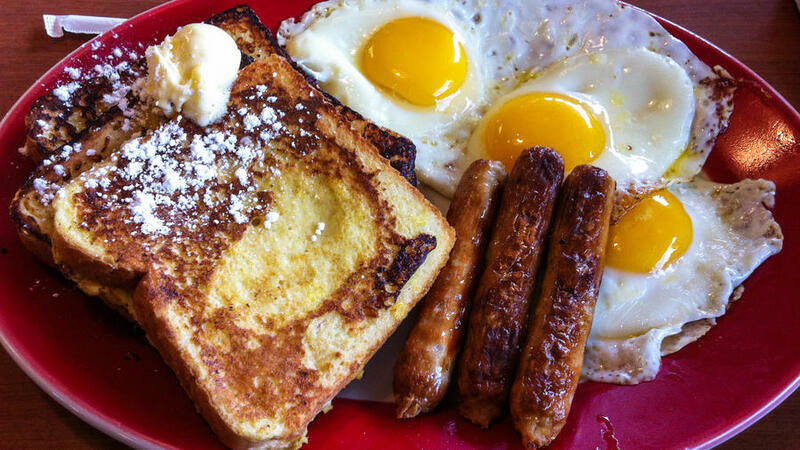 Foodie friends, have you found any place in the West that offers a new look at breakfast?